As the scale of oils & fats project is becoming larger and larger, traditional 2D drawings can no longer fully meet the needs for efficient and effective engineering process, 3-D design is rapidly gaining increasing importance nowadays. In this circumstance, Myande, in collaboration with one professional software company, has developed a 3-D design software package, especially for oils & fats engineering projects. This 3-D software, while enabling designing work to be conducted in a virtue 3-D space, enables the designer and customers to visualize the spatial relationship among each design unit, and thus improves the accuracy of equipment layout, piping layout and material statistics. Another feature of this 3-D design software is that it allows for dynamic, modeling, simulation, and accurate calculation for most optimal design efficiency. 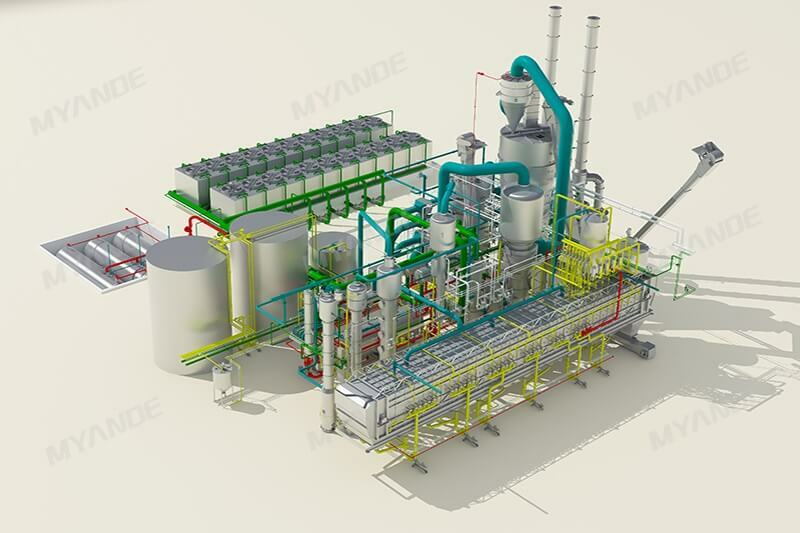 Myande 3-D design software has a large database, which, in combination with Myande’s standardization process, effectively shortens the design cycle as all standard modules of the equipment are obtained from the database. According to the civil building structure drawing, civil work model can be drawn at 1:1 scale directly so that interference between equipment items and between equipment and civil works can be effectively eliminated in the designing stage. 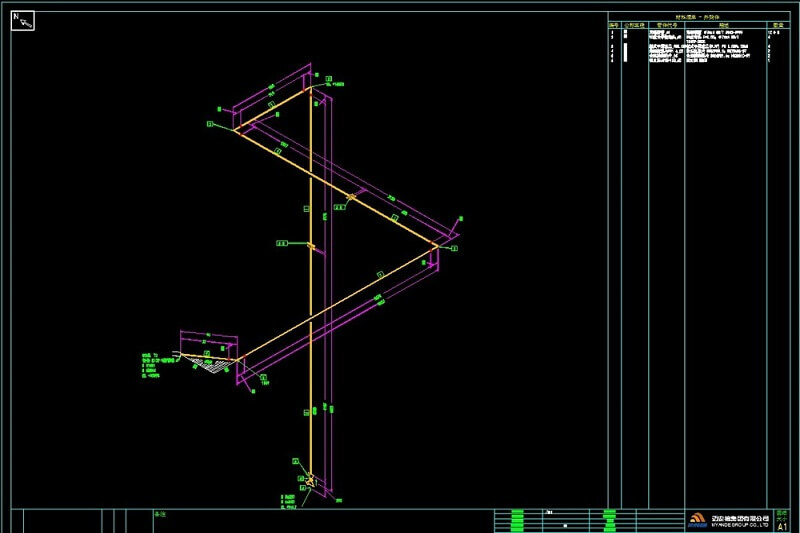 As shown in dwg1, interference between the equipment and the structure can be detected visually. 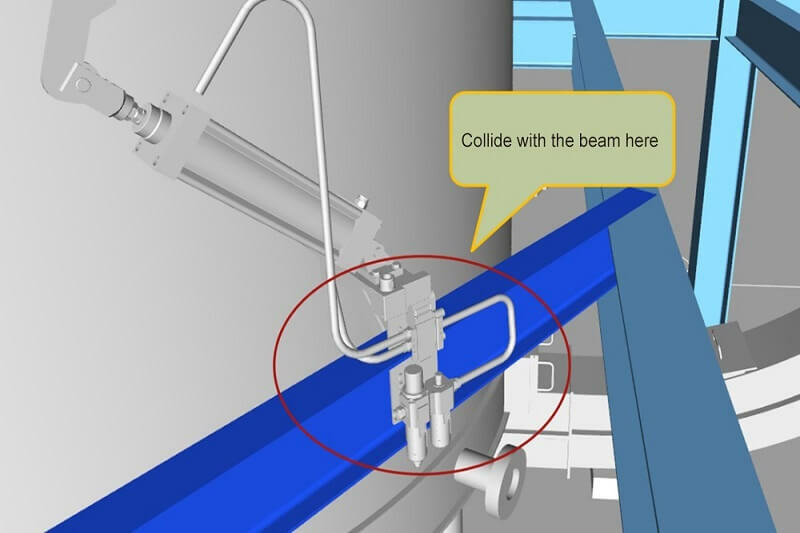 Pipeline modeling is conducted after the collision check. Components database and classification database are the core of pipeline modeling. The class database contains full range of standards for components commonly used internationally. The components database, including tee joints, reducers, elbows, and valves, enables the designer to rapidly and accurately choose the needed components at any time. 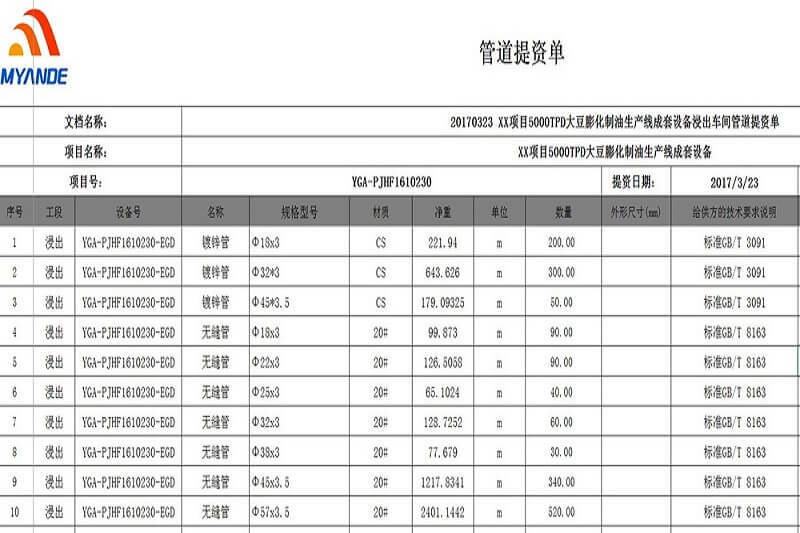 After the design, verification and modifications of civil work, equipment and pipeline, we can proceed to make material statistics. The 3-D design software can automatically generate bill of material from a series of pipes and pipe segments involved in the design, which is easy for statistics and check. Figure 3 is an example of bill of materials generated by the software. If the fluid medium is different, the pipe materials will be different considering the requirements like anti-corrosion, high- temperature resistance and anti-explosion. The automatic generation can not only bring convenience to the actual design and production, but also improve accuracy. After completing the above work, we can transform the 3-D drawing into 2-D drawings. The 3-D design software can generate 2-D piping layout, equipment layout and equipment opening and holes drawings automatically from the plant models. We can select one of the pipelines or all the pipelines to transform into corresponding SLD (single line drawing). As shown in Figure, the SLD can clearly identify the specific direction, length and installation location of each pipe. It can also select corresponding equipment and then automatically generate principal three views and sectional views, or manually generate the view of certain angle. How to Utilize DC Exhaust Heat in Oil Mill?